The Hackerman-Patz House is located just steps away from Sinai Hospital of Baltimore and offers convenient, free parking that is monitored by security. We are also close to major interstate highways and only a 10-minute drive to downtown Baltimore. 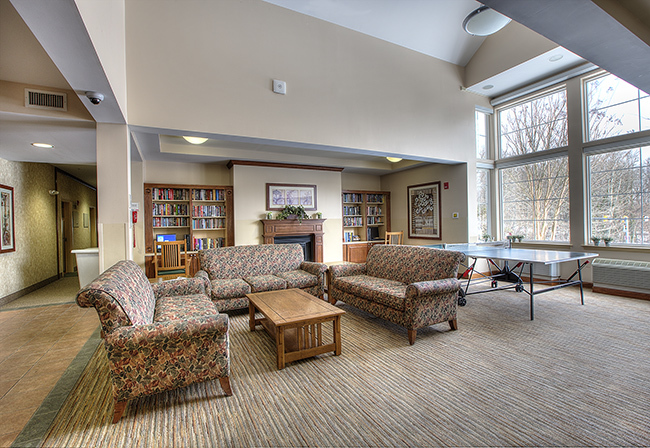 The great room offers a gathering place for patients and families to talk, relax and enjoy dinners, private parties, and arts and crafts. 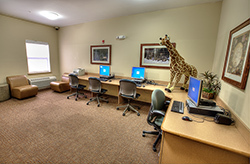 Two computers are available along with books, dining tables, couches, a fireplace and a home theater system with surround sound. Wireless internet is available throughout the entire house. 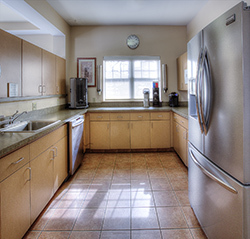 A shared kitchen right off the great room provides a dishwasher, refrigerator and freezer, ice machine, microwave and storage area. 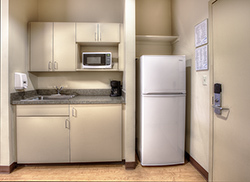 Chest freezers are available on each floor for guests to store their personal frozen foods. 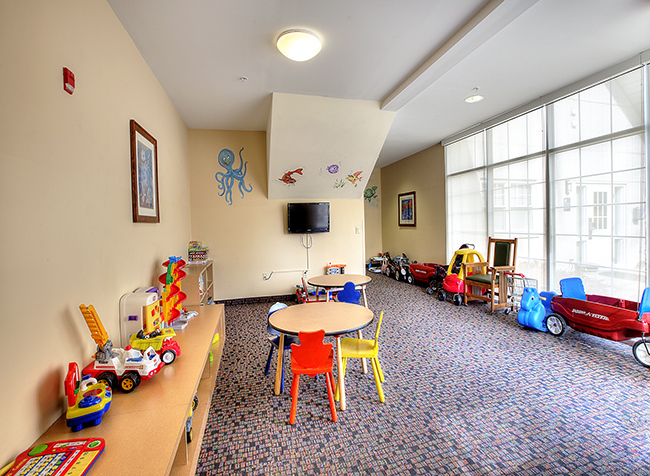 In our common playroom, children can enjoy toys, DVDs and much more. Our collection is donated from the community and offers a wide selection for children of all ages. 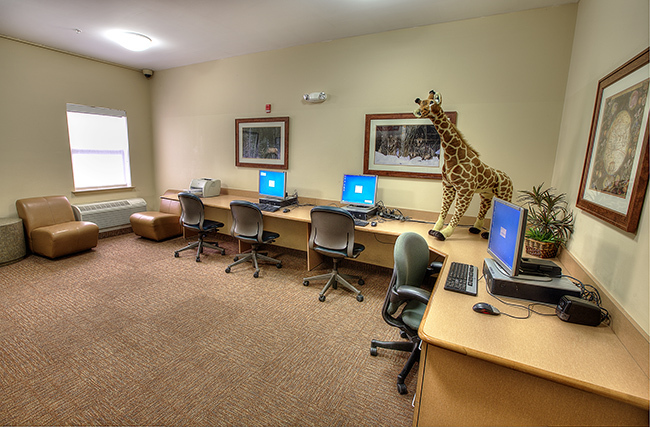 Three computers, a wide-screen television, DVD player and the latest video game systems are available for families to enjoy. Many of these items are donated from members of our community. Each deluxe room comes equipped with two double beds, a roll-away cot, a kitchenette with table and chairs, and a private, ADA-accessible bathroom. Other features include a phone, television with DVD player, alarm clock, personal safe and desk. Each standard room comes equipped with two twin beds, one double bed, a roll-away cot, a kitchenette, and a private bathroom. Other features include a phone, television with DVD player, alarm clock and personal safe. 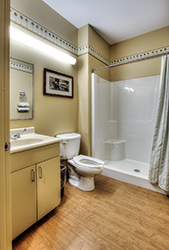 All rooms offer individual private bathrooms with standing showers. 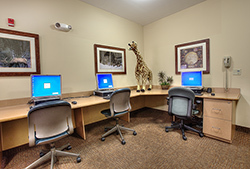 All rooms offer private kitchens and plenty of closets and storage space for clothing and belongings. (Closet not shown in photo). The Hackerman-Patz House is maintained through generous support and donations. To help us grow, financial contributions can be made through the Department of Development. Also, your non-perishable foods, canned goods and toys are always greatly appreciated. See our full wish list. If you would like to donate items, please contact Amy Scholnick-Powderly at 410-601-5354 or apowder@lifebridgehealth.org.